On 27.02.13 at approximately 8:00am police were called out to an area South of San Pedro where they saw the motionless body of a female apparently dead. She was later identified as 33 year old American National Kristy Lynn Sy. Earlier today 28th February 2012 an autopsy was conducted on the body Kristy Lynn Sy which confirmed that Kristy died of natural causes. Police had interviewed two of her Belizean friends that had interacted with her for almost a month who indicated to us that she suffered from seizures and was on medications for such seizures. San Pedro Police have started a murder investigation following the discovery of the body of a female American Caucasian. 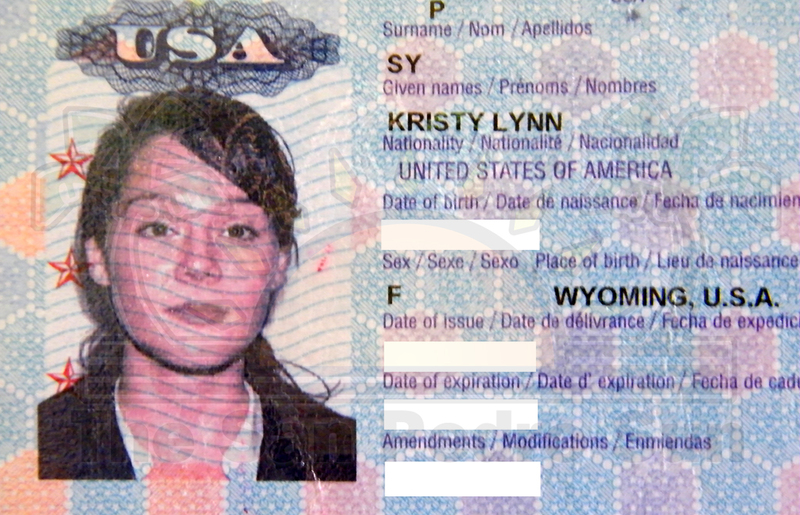 The person has been identified as 32 year old Kristy Lynn Sy of Wyoming, USA. Her body was found partially floating in the water near the southern part of San Pedro Town shortly around 8AM on Wednesday February 27th. According to residents in the Mar de Tumbo area of San Pedro Town, the body was taken out by nearby resort workers from a rocky beach side, after which police were called to the scene. According to police, the female was observed wearing a black undershirt, a blue jeans short skirt and was barefoot. The female also had on a wedding band and a pair of earrings. “She doesn’t look familiar to us and she does not look like a local,” said one of the residents in the area who police asked to view the body in an attempt to identify the body. Police later identified the body after they began circulating pictures to resorts and hotels on the island of the then unidentified body. “An employee of a nearby resort recognized her and told us where she had been staying. We later found out where she was staying and as a result managed to find out her particulars. She was in the country for about a month but was scheduled to leave today (February 27th) back to the US,” said Superintendent of Police Luis Castellanos, Officer in Charge of the San Pedro Police Formation. Residents in the area say that the body was discovered by some maintenance workers from nearby resorts who decided to pull the female out of the water. “She was pulled out from the water because they believed she was alive. It’s the first human instinct of anyone,” commented a resident from a nearby resort. In an interview with The San Pedro Sun, one of the maintenance workers of a nearby resort that assisted in taking out Sy from the water explained what he saw. “Two of us were cleaning the beach around 8 o’clock in the morning, when we saw someone passed us running the beach. He then noticed someone in the water near the beach and he stopped and told us about it. He said that someone is drowning and we quickly ran to the area. When we arrived we saw a female lying face down in the water near some rocks. Two of us jumped into the water and took her out and place her on a beach chair belong to a resort. We saw her foaming from the mouth. We then notified the police,” said the male employee who preferred to remain anonymous. The female was declared dead shortly around 9AM by Dr. Giovanni Solorzano of the Dr. Otto Rodriguez San Pedro Poly Clinic II. Speaking briefly to The San Pedro Sun, Dr. Solorzano explained that bruises around the neck of the female was observed which can be consistent with “strangulation” but said however that it could only be confirmed by a proper post-mortem examination. When asked if the female had signs of drowning, Dr. Solorzano explained that “it does not appear so” but repeated that a post-mortem would be necessary to determine that. Based on the initial examination on the body, it is believed that the person may have died between the hours of 3AM and 7AM. “We understand that the female suffered from continuous seizures. However, the police is treating it as a murder investigation until a post mortem indicates otherwise. We are hoping that the post mortem can point the investigation in a different direction other than a murder, but we are not discrediting that possibility either,” said Superintendent Castellanos. So far, police investigation indicates that while in San Pedro Town, Sy would go for daily walks along the beach in the area in which she was found. According to police the US Embassy has been notified and from there on they will be making contacts with Sy’s family back in the USA. Meanwhile, Sy’s body has been transported to the Karl Heusner Memorial Hospital (KHMH) for a post mortem examination. Police continue their investigation. Missing Items of Deceased Maria Antonia Plaza Gomez!